The Constitution of the United States is our founding document. It sets principles for our laws and our conduct pertaining to them. But, regardless of our appreciation of its genius, it doesn’t apply universally beyond our borders. According to Supreme Court decisions, there are even limits to its application to our own citizens when they are residing abroad. And when foreigners are concerned, its applicability is very limited. In general they gain its protections only when they step on U.S. soil. The specific legal exception is when a foreigner has an established relationship with our country, such as holding a visa or a green card. 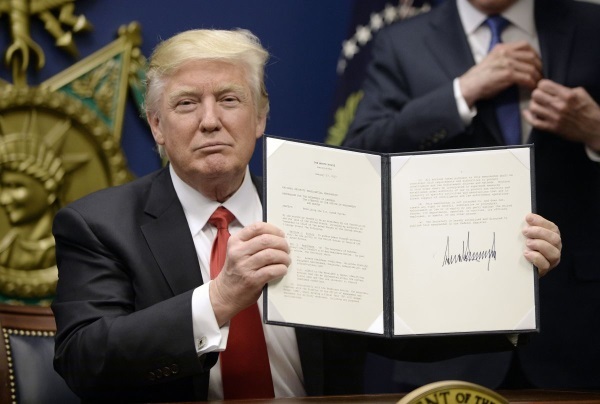 So, what does this mean for the current dispute over President Trump’s executive order pertaining to immigrants from seven specific international hotspots? I have read arguments by informed scholars on this topic and as usual they don’t fully agree. However, I am always attracted to analyses that seem more objective because they contradict expectations. Harvard’s Alan Dershowitz is a renowned constitutional expert who espouses generally progressive viewpoints. But recently in a television interview, he forthrightly argued that due process rights don’t extend beyond our borders to non-citizens. This was my belief also, but I have no legal pedigree to back it up. The recent decision by a federal judge staying this executive order cites, among other things, the violation of due process rights of potential immigrants from the specified seven countries. I believe that is a reversible error, but it is possible that other constitutional arguments may be relevant. For example, there is the issue of fair application of our laws and implementation procedures. Is this a proscribed ban on Muslims, as many proclaim? If it is, then it is so incompetently written that it fails almost totally to achieve its objective, so perhaps we should give it a pass. After all, it doesn’t apply to the vast majority of Muslims. If the Trump administration wished to ban Muslims, how could they have overlooked Indonesia, Pakistan, India, Egypt, Bangladesh, Turkey, and Nigeria, just to mention a few? Still, Trump’s statement that an exception should be carved out for Christians is revealing and perhaps damning. It seems likely that this executive order will be argued before the Supreme Court because there have been conflicting decisions in lower courts. When this happens I suspect that the order will be blocked. However, that will almost certainly not be based on the merits of the case! The reason for this is aptly encapsulated in a comment by SCOTUS nominee Judge Neil Gorsuch, “A judge who likes every outcome he reaches is very likely a bad judge.” I wholeheartedly agree. I think we have at most only two Supreme Court justices who successful pass this test, Chief Justice Roberts and Justice Kennedy. If you can always – always – predict a judge’s opinion simply by knowing the nature of the case then they are not judges at all, they are advocates. This indictment applies to a significant degree to the remaining six justices, as it certainly did to the recently deceased Antonin Scalia. Reasonable people might disagree with Gorsuch’s observation because it will mean that occasionally a good judge must rule against his instincts and beliefs solely in support of the written law. Of course, one could always point to bad laws that should not receive such respect. However in general, laws are not bad or written with evil intent, and interposing one person’s beliefs is a slippery slope to oligarchy or worse. We are truly a nation of laws. They are what distinguish us. If you believe that sometimes they should be ignored when they violate your principles, consider what happens when someone who sincerely believes otherwise reaches a position of power. Is that really the precedent you wish to establish? So, let’s return to Professor Dershowitz. I am sure that his instincts guide him toward believing that due process should apply universally. It is the very essence of fairness. But he is an honest man and he understands the law. So, perhaps reluctantly, he applied it to Trump’s executive order. I suspect he might be a good judge by Gorsuch’s standard. Evidently being a progressive doesn’t always mean that good intentions trump impartial analysis, which pleases me and gives me hope for our future. This is another of my lengthy posts. I don’t plan this to become a habit, but the topic cries out for a serious consideration. Many blacks in America lead lives quite different from their white counterparts. This is masked by superficial similarities, but it shows up strongly in statistics frequently cited as evidence of ongoing and virulent racism. Prime examples are crime sentences, drug convictions, police stops, false convictions, job application responses and housing applications. Everyone has heard of the enormous over-representation of blacks caught up in our criminal justice system. This is an indisputable fact from which flows many ill effects on our black population. The problem is that blaming racism for these statistical disparities is flawed. The statistics are suspect and the argument overlooks quite plausible alternatives and ignores important factors. Let me illustrate this with one example that looms large in current discourse, police stops. There is ample evidence that police stop, question, and sometimes frisk blacks more often than whites, particularly when these data are adjusted for population numbers. Does that simply represent racist assumptions or are other factors involved? First, these statistics principally derive from urban areas where the black population is far greater than the average for the country as a whole. Thus the sample is inevitably skewed. Secondly, for a variety of reasons, blacks tend to congregate residentially and these areas are frequently economically disadvantaged. That has several impacts that relate to these statistics. Car ownership is low. Residents spend much more time on the public thoroughfares and around shop fronts than is usual elsewhere and are thus more exposed to scrutiny. Any observer can easily verify this. Moreover gang activity and crime in general is far higher in these communities than elsewhere. Add that to the fact that young black men in particular favor clothing and demeanor characteristic of gang members. Indeed this has been one cause of frequent mistaken gang revenge homicides. The natural result is that all of this invites suspicion and would do so even if all involved were white. In particular, the high crime rate quite properly results in more frequent and aggressive police response. In searching for culprits, many innocents bear the burden of closely matching perpetrators due to similar appearance and clothing. Moreover, they often aggravate the situation by trying to evade questioning, sometimes for essentially innocent reasons. All of this doesn’t prove that no racism is ever involved in police stops, but it does explain why exactly the same statistics might arise from other circumstances. In other words, they prove nothing, and similar analyses can be made for every one of the other statistics that are frequently quoted. 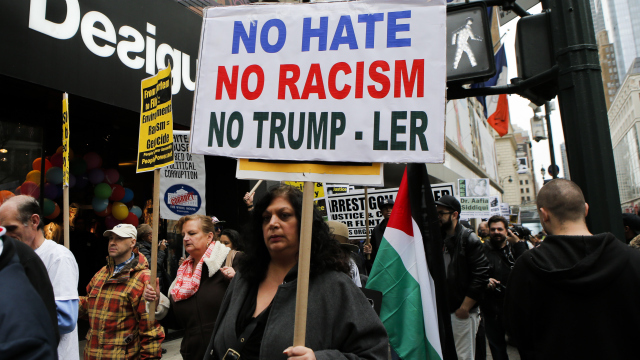 On the other hand, there can be no doubt that both races look suspiciously and apprehensively at each other, and these attitudes have concrete results. However labeling this as simple racism obscures two realities that must be faced forthrightly if we are ever to resolve this situation. First there is the residual impact of prior racism, and second there are the embedded aspects of life in the United States that preferentially advantage whites. Every thinking person knows of the structural obstacles facing blacks in earlier eras, not all of which have been eradicated. But few understand how they leave imprints today in attitudes and internalized constraints. Some of this is tricky even for those with few biases. The fact is that echoes of past discrimination bear strongly on all of the known differences in white and black experience. The impact of past racism reaches through time creating effects that are often underestimated. The problem is that this story is difficult to tell and even harder to understand. That is partially because the chain of events is not easy to trace with any degree of confidence. And it is complicated by the many examples of blacks who have achieved great success under the same or similar impediments. The social and economic circumstances of blacks today derive from those of their parents and through them those of their grandparents, and so on. Time and changes in the world diminish and abrade these effects, but not as much as you might suppose. An often quoted counterexample for the persistence of negative circumstances is the experience of the great wave of Eastern European Jewish immigrants that began in 1880. Many came from places where their lives were not just poor but were virtually indistinguishable from slavery. They spoke foreign tongues, had little or no formal education, were grindingly poor, and were widely and openly despised by their new countrymen. Yet we can easily see how they as a group have succeeded in the freedom of our society within just a few generations. But this is a false comparison. The Jews had strong family relationships, a cohesive society and a sustaining religious experience. Moreover, in spite of their lack of formal education they were often well-schooled and imbued with a respect for education and knowledge. All of these factors were systematically either prevented or destroyed in the early black experience in America. The counterpoints to this history for blacks are the many ways that whites benefit from privileges unknown to blacks. Few whites are even aware of this at all. I confess that as a well-read, white American I was quite oblivious to some of these advantages. 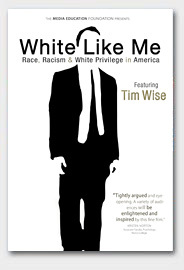 There is an interesting book entitled “White Like Me” that is also the basis for a PBS documentary that is well worth watching. It discusses racism in the United States from the inverse perspective of how racial privilege affects the daily lives of white Americans. Whites who benefit is this way are not consciously discriminating; the system does that for them. Consider one of the great successes of the post-war era, the GI Bill. A grateful nation generously offered immense benefits to returning WWII veterans. These included low-cost mortgages, low-interest loans to start or grow a business, and most significantly, cash payments for tuition and living expenses to allow the veterans to go to college. This was in an era when no more than 10-15% of high-school graduates went on to higher education. These veterans prospered and won the accolade of The Greatest Generation not just from their sacrifice but from their successful lives after the war. The bill didn’t single out white from black veterans, but society and circumstances of the time certainly did. 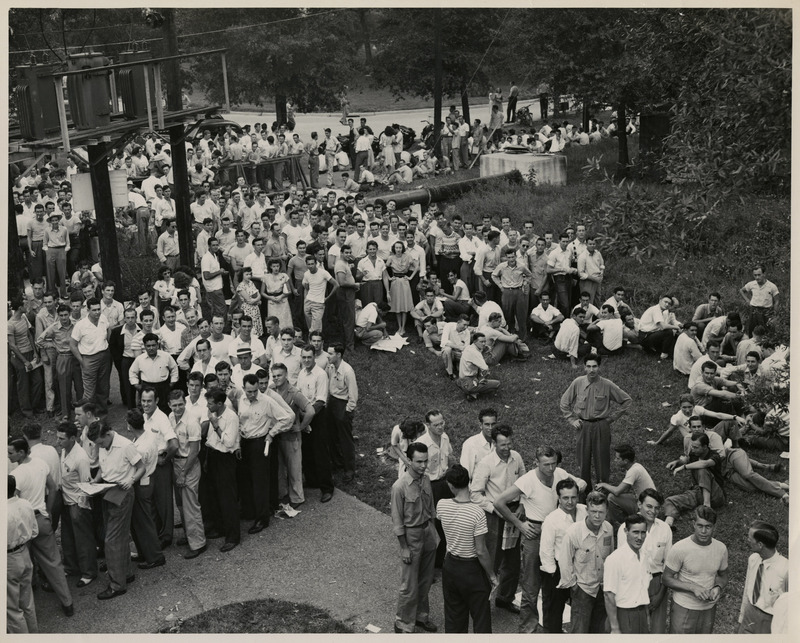 Do you see a black face in these hopeful veterans waiting to register for their first classes at the University of Houston? Many blacks suffered the heritage of poor or incomplete schooling that left them unprepared to take advantage of these opportunities. This was greatly compounded by legal discrimination in pre-Civil Rights America where banks wouldn’t consider even subsidized loans to blacks and redlining was rampant. Note that no one ever thought the GI Bill was welfare, however that is precisely what critics would call it today, especially if it targeted needy blacks. 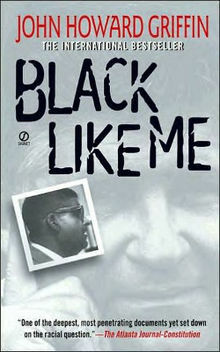 The title of this book plays off the controversial diary of white journalist John Howard Griffin, “Black Like Me”, which chronicles his travels in the South disguised as a black man. Griffin’s journey took place in 1961 at the beginning of the civil rights era when racial separation was a way of life entrenched in law. He wanted to see what life was like looking through another’s eyes, a well-meaning but essentially flawed enterprise. These are different times and the legal and overt struts maintaining racial separation have been largely dismantled, although attitudes and personal beliefs still separate whites from blacks. The current slogan of choice by disgruntled blacks is “Black Lives Matter”. The intended meaning is superficial but there is a deeper connotation that drives to the heart of the matter. The lives that our black citizens actually lead make all of the difference. At this point it is logical to ask if these two components of real racism can be cured. I don’t have confident prescriptions but a good start is to acknowledge reality and to end the resort to dubious statistical arguments. Otherwise we will treat symptoms rather than real causes. This can be helpful in the short term but it will never get to the root of the problem. The cure for persistent impacts of past racism may require preferential treatment, like affirmative action. But that is very controversial and constitutionally questionable, and it has the flaw of applying a broad brush to individual needs. Still I believe that ways could be found to make it work, perhaps by making it class-based. As for embedded white privilege, all that is needed is an exercise of will. Whenever any law or regulation is considered, the question of its racial impacts can be analyzed in exactly the same way we do other concerns. Going back to undo earlier “mistakes” is much harder and frankly I have no idea how to deal with this. Perhaps the best we can do is to hope that their impacts reduce over time. I was watching a discussion on TV and, as is common today, the topic of race and bigotry came up. Doesn’t it seem that this is an itch that we just can’t stop scratching? Anyway, the question arose as to how to distinguish between personal preference and bigotry. In a free society, which is at least our aspiration, surely people should be allowed their personal preferences, at least as long as they don’t impinge on the rights of others. Yet exercise of this right is often perceived as bigotry. And in fact, the simple truth is that frequently this has indeed conflicted with the excluded people’s rights in some manner. For example, suppose I only want to live among others of my own race. Fair enough, but not if I prevent some people from purchasing a nearby home by restrictive covenants or even just discourage them by social attitudes. Voluntary association with those like you is a common occurrence, and not just by the privileged in society. Look at the dining halls in any college or a business cafeteria. You will likely see black and white tables that exist by mutual consent, and both groups would be upset if that demarcation were broken. In almost all cases, this is simply a matter of comfort. I am coming to the unhappy conclusion that our racial problem, at least as it is currently seen, is a relatively permanent condition, though in time miscegenation might help erase it. The reason is that personal preference is a fundamental human trait and it is often inseparable and indistinguishable from some sort of bigotry. And that’s too bad. I have seen statistics that provide a far stronger case for egregious profiling than the recent targets of the Justice Department, and I don’t understand why they are not addressing it first. It involves many more people than racial profiling and it has been ongoing across the country for as long as we have been keeping records. How could anyone have failed to notice the targeting of males by police and their unfair treatment in the criminal justice system? In every jurisdiction, more males are pulled over by police; vastly more males than females are charged with crimes; and more than 90% of our prison population is male. This is true even though less than half the population is male in almost every area. For almost all crimes, males receive more punitive sentences than females even when the crime and the circumstances are essentially the same. When a policeman sees suspicious activity and both males and females are present, the treatment of males is usually more aggressive and police shooting incidents almost always involve males. Listen surreptitiously in any police station and you will hear obviously biased statements about the criminal behavior of males. There is no persuasive evidence that males have a more criminal nature than females. However, this is often assumed through a circular reasoning based on the above statistics. This is entirely analogous to the case for African-Americans, so that black males are doubly discriminated against. So, don’t you think we should do something about this evil behavior that stigmatizes a vulnerable minority? Males everywhere should speak up and demand equal treatment. We shouldn’t stop until the number of males and females who are incarcerated is more consistent with their proportions in the general public.